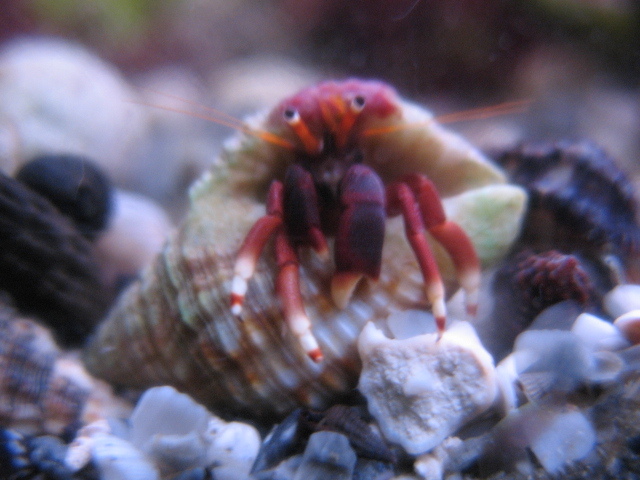 This mix of assorted reef safe hermit crabs are good at removing hair algae, film algae, detritus and cyanobacteria from your tank. They will eat some thinner macros, and ulva, scroll algae, and Halymenia may be at risk. Thin legs will often eat caulerpa as well. While they will not eat your corals, they may attack snails for their shells, and this is something to be mindful of in your tank. You can reduce this risk by having plenty of empty shells for them to move into. And other hermits as they become available. No scarlets in this mix unfortunately, wholesalers want to much for them in my opinion. This item requires Next Day Service.